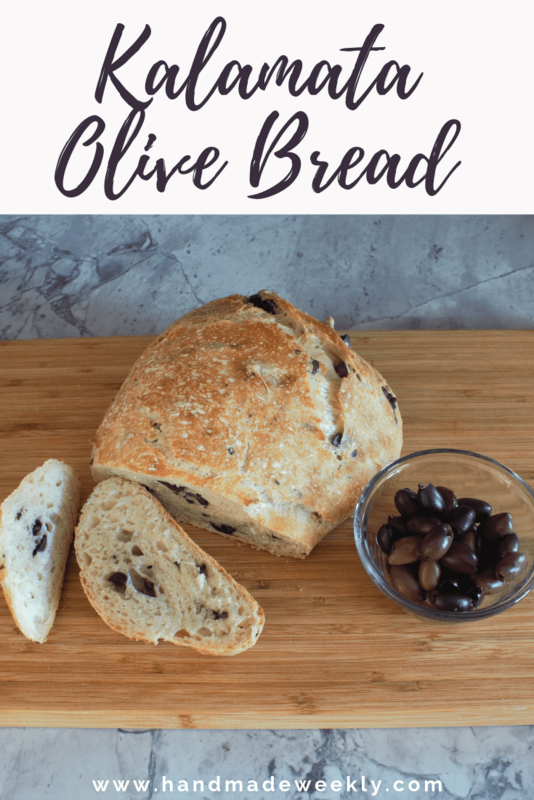 It’s been a hot minute since I’ve posted a recipe so today I’m sharing with you a new bread recipe that I tried for the first time this weekend. 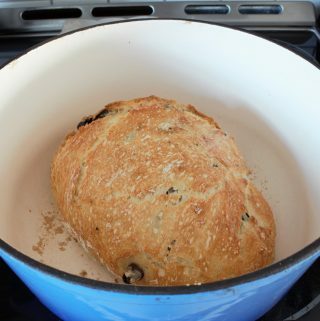 I love making dutch oven crusty bread and I enjoy playing around with different flavors. 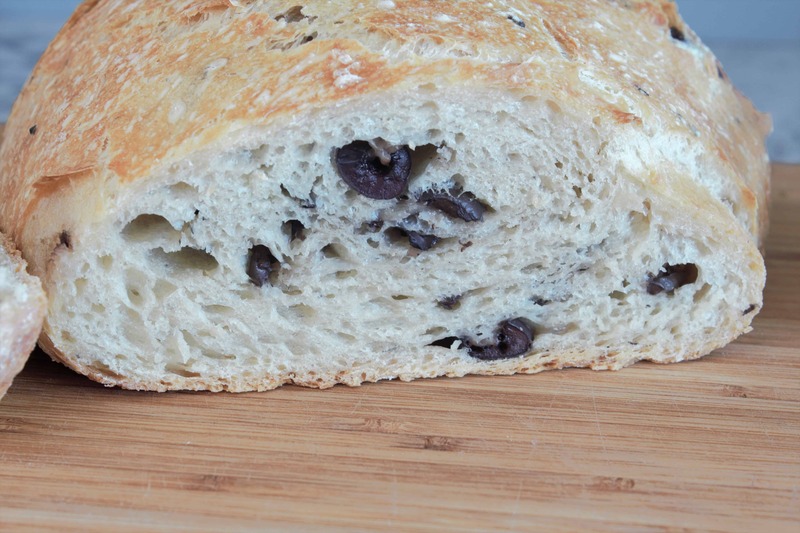 So this time I used kalamata olives in the bread. It turned out perfect! Dutch oven bread is the best because it totally looks like you have this amazing skill of making artisan bread but in all actuality, a small child could make this. It takes zero skill at all. 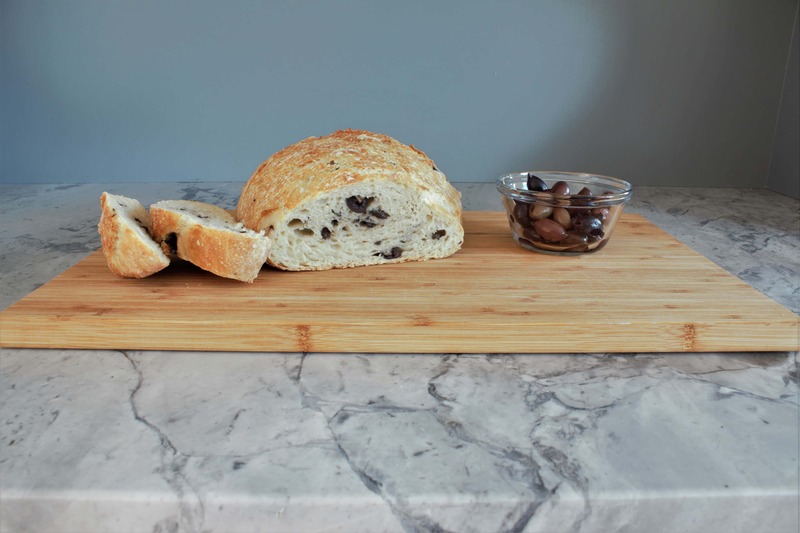 Read on and follow along so that you can make this rustic kalamata bread too! his post contains affiliate links, meaning, at no additional cost to you, I will make a commission if you click through and make a purchase. I only have a 6 quart dutch oven so my bread ends up a little flatter than desired. If you have a small 3.5 quart dutch oven that would be ideal. It would allow the bread to rise up a bit more instead of out. 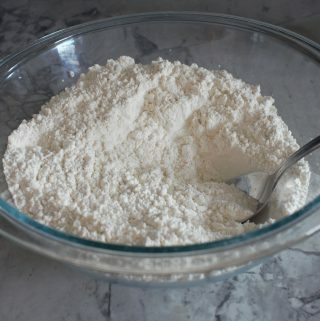 In a large bowl, mix the dry ingredients (Flour, Active Dry Yeast & Salt). Cut the olives into small pieces and then add the olives and the water to the mixture. Mix with a spoon until everything is combined. 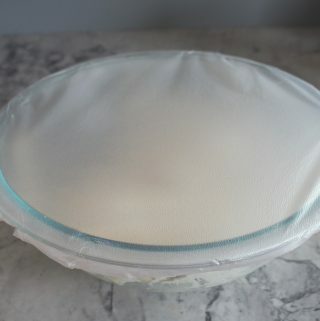 Cover the bowl tightly with plastic wrap and let the dough sit for 12 - 18 hours. 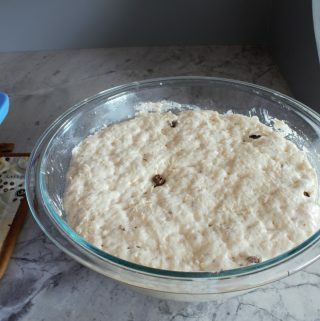 After 12 - 18 hours the dough should have risen and expanded. Preheat the oven to 450 degrees WITH the dutch oven and lid in the oven. 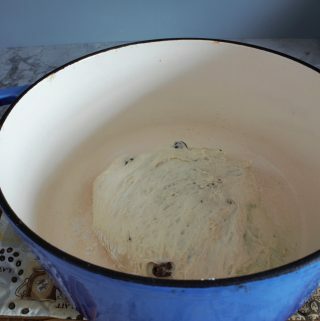 You'll want the dutch oven to reach 450 degrees before you add the dough. 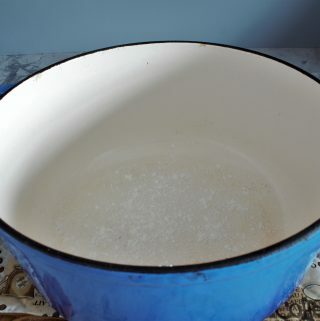 Sprinkle a small amount of flour onto the bottom of the dutch oven so that the dough doesn't stick. Add the dough to the dutch oven. If it is sticking to your hands, lightly cover your hands with flour. Bake the bread in the oven at 450 degrees with the lid on for 30 minutes. After 30 minutes, take the lid off and bake for another 10 - 15 minutes until the crust is a golden brown color. 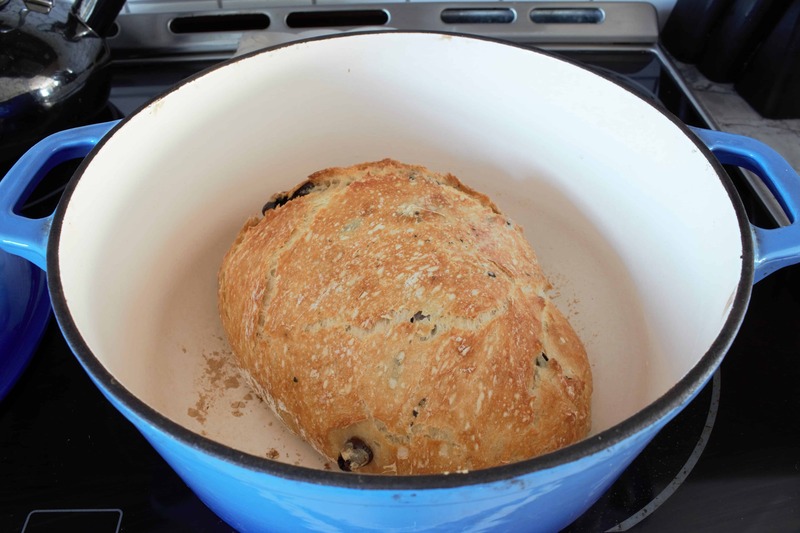 After the bread is finished baking, immediately remove it from the dutch oven so that it can cool. 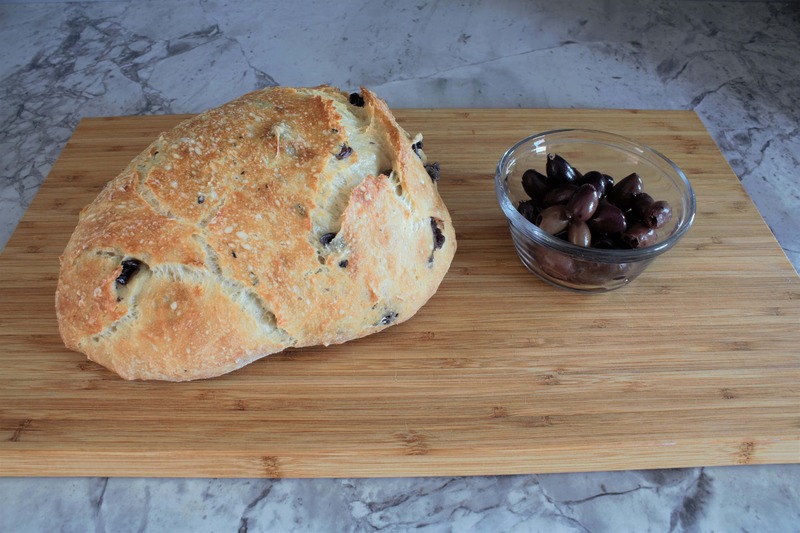 This bread is so simple to make and will certainly be a new staple in my home. Just look at that crispy crust! 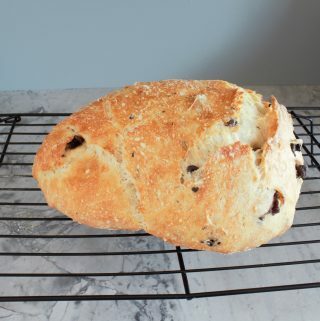 If you enjoy this recipe, you may also be interested in a Rosemary and Sea Salt bread recipe that I have on my site. They are both equally easy to make. What is your favorite type of bread to bake? Hi Hannah! 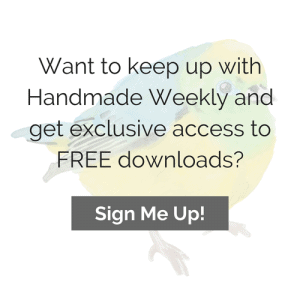 I’m Colleen from Bakes and Blunders and I found you through the Happiness is Homemade Link Party. This bread looks amazing! I’ve never made dutch oven bread, but I think I just might have to. I’ve grown to enjoy kneading dough, but sometimes easy and quick (for bread, at least) is what you need. No pun intended! I made this pretty amazing Cinnamon Swirl Bread (https://www.bakesandblunders.com/cinnamon-swirl-bread-recipe-need/) and I’ve also made a Ham and Brie quick bread that’s unique. That’s going up on my site this Thu Jan 24 (www.bakesandblunders.com), if you’re interested. YUMMY!!! 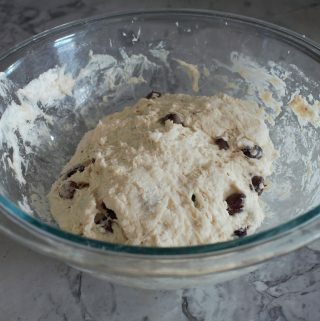 I’m going to try this bread this weekend!! Thank you VERY much for sharing! I featured you this week! Thanks for sharing with us at the To grandma’s house we go link party, see you next week!